his year saw the 10th Whisky Show , organized by the fine guys at The Whisky Exchange. In addition to the Epic tastings and many event (that i missed, yet again! ), they bottle some fine whiskies for the event, and this year they’ve bottled a very nice looking series of whiskies which celebrate ‘The Future Of Whisky’. The bottles look über cool with all of them using lenticular labels to bring the bottles to life. 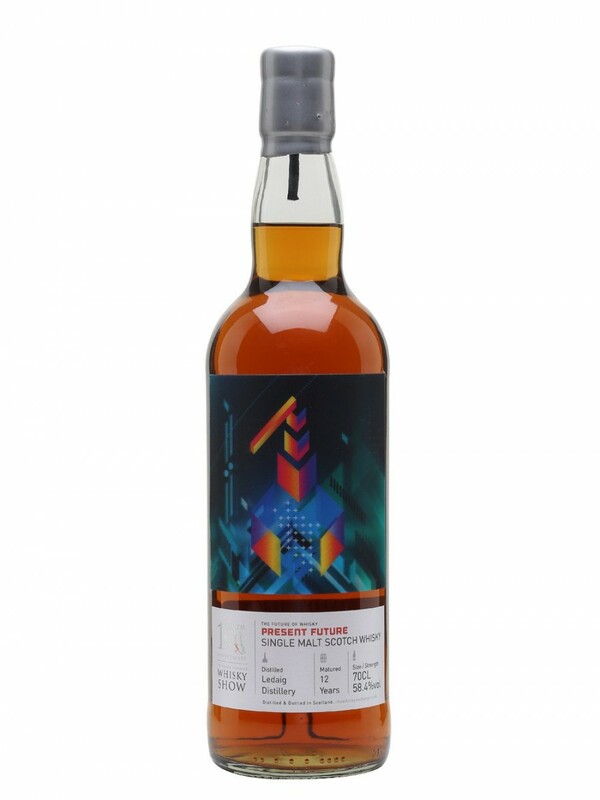 In what is believed to be a first for whisky bottles, lenticular printing gives each label a feeling of depth and movement, as well as helping each whisky embrace the show theme. The whiskies are presented as ‘Past Future’ (what they thought the future would be in the past), ‘Present Future’ (what they presently think the future will be), and ‘The Future’ (what they think the future might be in the future! ), quite nice. Anyways, labels are cool, but what’s in the bottle you ask? Gladly (and thanks, billy!) i will be trying and reviewing all three bottles which is as close as it gets to being at the show (better luck next year). 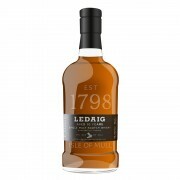 Let’s start with the 12 year old Ledaig. shall we? Nose: Wow. this is big bold and rich stuff on the nose. I’ve tried it after a 60% abv Talisker 8 yo, and this one is ten times more intensive. And I love it. There’s a ton of sweet smoke , and s thick syrupy quality to it, the sherry is big, and round, and there’s also a minty touch , maybe a hint of eucalyptus, some tar and Jute cloth, and maybe even hint of bandages and chocolate. Big Badass nose if there was one. Loving it. Palate: The palate packs a nice punch, with an avalanche of peat, smoke and ash, (some pepper too) the sweetness lingers, and you get a sort of smoky liquor infuse chocolate, which is brilliant. there’s also a salty edge here, as in salted caramel, maybe ripe oranges as well, and maybe even some cough lozenges, oily, and mouth-coating, i could be easily fooled to think this is sherry cask Islay. Finish: Peppery, ashy, chocolate and very long, even some black tea. It goes for ages. Now that just sounds downright delicious. I enjoy the standard 10 so I'm going to have to look out for some IB's - especially at cask strength. @Hewie the 10 yo is lovely, but this one's amazing. try getting some IBs like the signatories, also look for the OB 13 yo fino cask. @galg @Hewie - I've had a couple of IB Ledaigs (6 Signatory and a 9 Claxon) and they were both excellent. yes it was. it was very disappointing to me... quite flat, the nose was not very complex, and the palate. well.. not my cuppa. the regular 10 is much better. Young indie sherry-cask Ledaigs are setting the world on fire over the past couple years. I recently found out that Ledaig is pronounced “Led-chaig” per Ralfy.